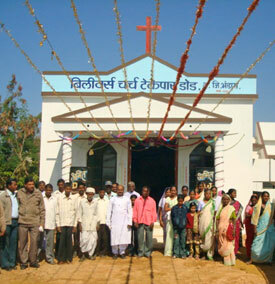 Pastor Sampat and the believers gather in front of their new church building. 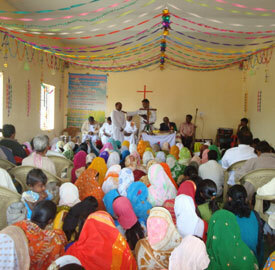 The congregation came together for their very first worship service in their new church home. Provide a church building for other fellowships meeting in homes, just like Sampat and his flock. Find out how you can pray for those in need of a church building.